Whether you are moving around the corner or across the country, your moving day checklist should include how to make moving as safe and easy as possible for your pets. The chaos of packing up your home and moving into a new one can be just as stressful for our furry (or scaly) family members as it is for us. The unexpected activity in their home and being introduced to an unfamiliar environment can cause your pets a lot of anxiety. The following tips will help you prepare your pets before, during and after the move to ensure that the transition is as stress-free as possible for everyone, especially your pets! 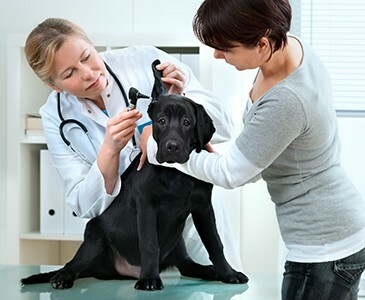 If you are moving out of the area, contact your vet so you can take your pet’s records and any prescription medications with you, and be sure your pet is up to date on vaccinations. If you do not have a current health certificate for your pet handy during interstate travel, ask your vet to provide one. This document is required to transport pets across state lines. This is also a good time to ask your vet if they can recommend another vet in your new neighborhood. After you move, make sure you update your pet’s tags or microchip information with your new address and phone number. Prepare an easily-accessible moving-day kit that includes a gallon of water and enough pet food, kitty litter, toys and grooming tools to sustain your pet and keep him (or her) comfortable during the first few days of unpacking. And don’t forget to pack a separate bag for your animal. You will also need to bring a pet first aid kit and some extra towels in case of accidents. Place temporary ID tags with your new address and phone number, or a cell phone number, on your pet’s collar. Many pets haven’t spent much time in crates or cars. In the weeks or months leading up to the move gradually acclimate them to their crates by placing their food inside, and start carrying them around the house or take them on a short drive in their crates. Fish – fish respond strongly to stress and a move can be traumatizing, if not fatal. For short distances, you can transport them in bags filled with their old tank water. (Check with your local aquarium store for supplies and more details.) Most major aquarium supply stores will supply large plastic bags infused with concentrated oxygen and water that can support fish for approximately 24 hours. Birds - like most pets, birds are very jittery about change. Take your bird to the vet for a checkup and obtain the necessary documents to move your feathered friend. Prepare an appropriate carrier and help them get adjusted to their temporary home. Guinea Pigs – these pets are known to suffer from changed-induced stress or being jostled around. Make sure they are transported in a warm, comfortable small carrier, and try not to travel with them for more than three hours. Reptiles/Exotic animals - reptiles are very susceptible to temperature changes and should be handled with extreme care. Some vets will loan a professional carrier to secure your lizard, spider or snake during a move. Moving reptiles and other exotic animals can be difficult if you are doing a long-distance move. They require special handling, so contact a professional company that specializes in transporting exotic animals if your pet will need to be shipped or delivered. 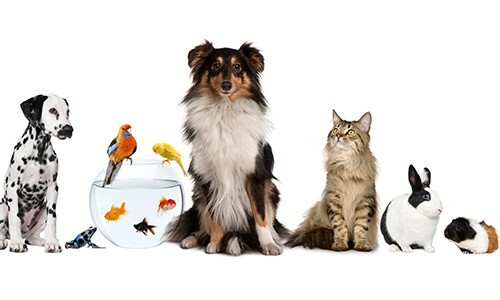 If you cannot take your pet with you during the move, there are a variety of animal relocation companies that will transport your animal using either their own vehicles or by prearranging appropriate relocation methods and boarding. On the day of the move, keep your pets away from all the action. Place your cats or other small animals in their carriers and confine your dogs to one room or the backyard. Another option would be to ask a friend to watch your pets or place them in a kennel until all your belongings are packed away. Keeping them in the quietest area possible will help reduce stress on the animal. Make sure you check on them regularly, and try to feed or walk them at the time you usually would; having some sense of a routine during all the changes will help a lot. Once everything is out of the house you can retrieve your animal and place him in the car or moving truck. Cats and small dogs can be put in a carrier in the back seat, which can then be secured with a seatbelt. A bigger dog can be moved in a kennel in the back of the car; you may need to put seats down if possible. Some animals feel more comfortable if you throw a blanket over their carrier during the car ride so they can't see the environment changing outside. 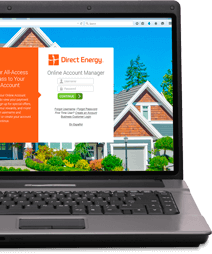 If possible, arrange to have the electricity turned on in your new home a day or so before you arrive. You will be able to adjust the climate in your home to keep your family and pets comfortable during the move. Choose an electricity provider in your area and contact them two to three weeks prior to your move date to set up services. Once you’ve arrived at your new home, it is best to keep your pets secure and not let them roam the house immediately. If possible, set up the house as much as you can while keeping them in a single room or secluded area. Place their favorite toys, treats, water, food, etc. in the area while they gradually adjust to their new surroundings. This will give you time finish moving in and “pet proof” the house. Be sure to check for open windows, improperly stored chemicals, loose cords, pest-control poison traps and repair any open holes where your pet can get stuck. Your pet will be able to explore his new home once all the boxes and furniture have been moved in and the movers are gone. 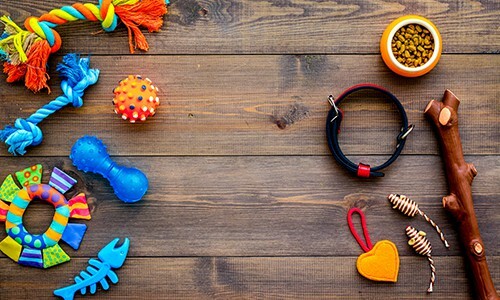 Place familiar objects in similar locations as in your previous home, and try to maintain their usual routine to help ease your animal’s anxiety. When they seem comfortable, gradually introduce them to other rooms in the house, while keeping some doors shut. During the entire moving process, it is important for you to remain calm as possible. Your pet picks up on your stress, so how your pet responds to the change is going to depend on you. Every pet has his own unique personality, and you know him best, so let your animal’s behavior be your guide to determine how he’s adjusting to his new home. Taking these steps will make moving day a lot more comfortable for you and your furry (or not-so-fury) friends.